With more intense disruption in distribution markets today than the past 20 years, every organization should be in transition. How do you stay ahead of the digital transformation curve, build a more adaptive business model, and navigate the turbulence of workforce change and superheated M&A climate, among other operational challenges? Watch MDM’s on-demand webcast “The Future of Distribution” to hear what the digital distribution enterprise of the future looks like. Mike Marks is the Managing Partner of Indian River Consulting Group. He began his consulting practice after working in distribution management for more than 20 years. His narrow focus in B2B channel-driven markets has created an extensive number of deep executive relationships within nearly every business vertical in construction, industrial, OEM, agricultural and health care. 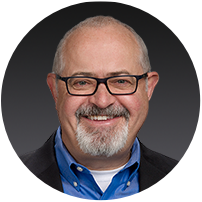 Ian Heller is President/COO of Modern Distribution Management (mdm.com), the most trusted resource for market intelligence and industry insight to wholesale distribution executives and industrial product marketers since 1967. He has held senior executive positions in marketing and eCommerce at GE Capital Rail, Newark Electronics, Corporate Express and most recently as VP Marketing for HD Supply White Cap. Ian also founded and ran Real Results Marketing, a distribution-focused consultancy, for seven years. 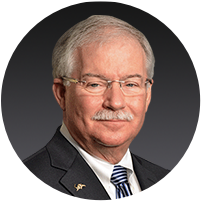 Tom Gale is CEO of Modern Distribution Management (mdm.com), the most trusted resource for market intelligence and industry insight to wholesale distribution executives and industrial product marketers since 1967. 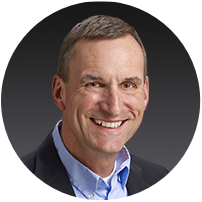 Tom has guided MDM’s research on distribution management best practices, benchmarking and industry trends since 1992. He is the executive editor of the Distributor’s Guide to Analytics, published by MDM in 2015.